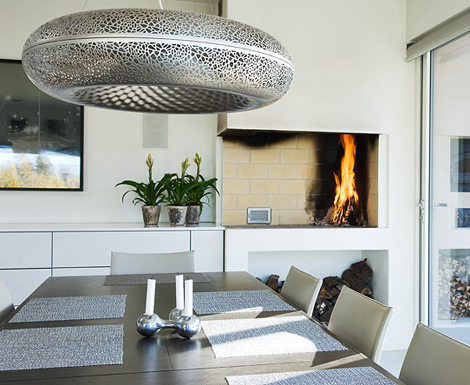 Ross Lovegrove has designed this beautiful pendant for Louis Poulsen. 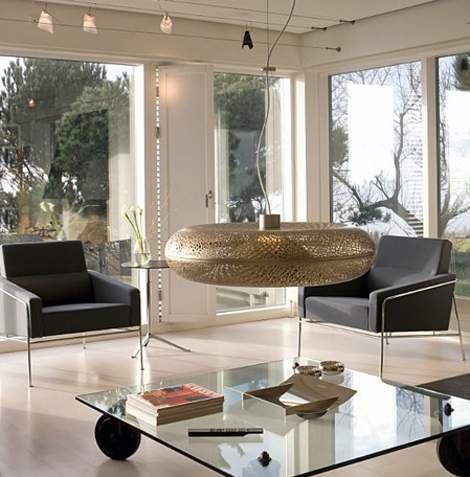 Louis Poulsen is an international lighting manufacturer and part of the Targetti Poulsen Industries lighting group. 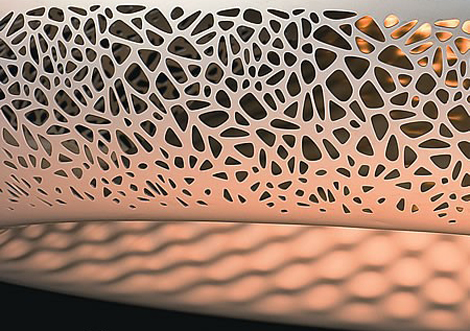 Working with Louis Poulsen, Ross Lovegrove has developed the Transair and Aeros products. The idea behind Transair was to create a range of spots suitable for illuminating art in the clean, simple spaces that are often to be found in museums and galleries. However, spotlights are also used in many furnishing contexts outside the scope of art exhibitions, so the idea was to develop a spot that would also function seamlessly in private settings. 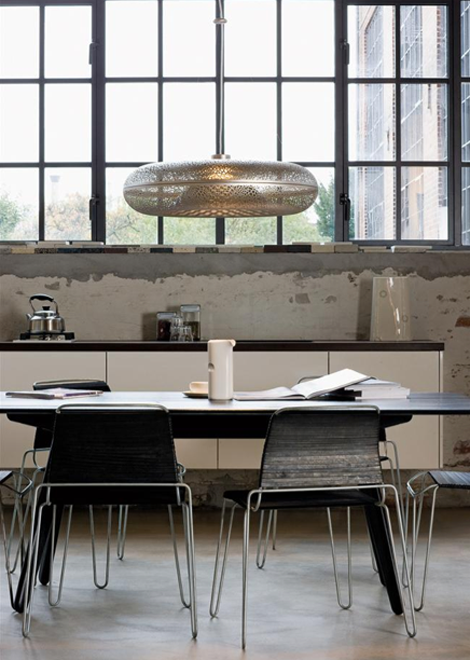 Aeros is a pendant which, with its finely perforated surface is both illuminating and shielding. Aeros radiates mysticism and possesses an innate beauty that engenders associations with Byzantine decoration.